The Hayfamzone Blog . . . . . . . . . . by Brian Hayes: SUPERHERO party at the LIBRARY! 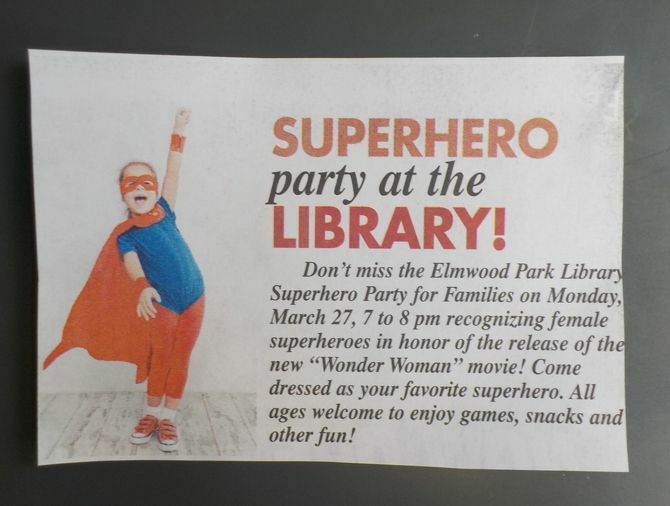 SUPERHERO party at the LIBRARY! to attend the Superhero Party! Honoring the upcoming release of the Wonder Woman film!